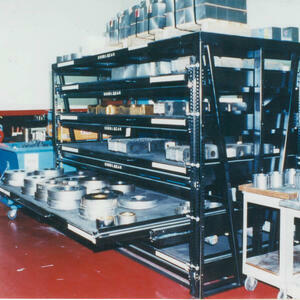 Designed for storing small steel parts wither rounds or squares. Roll-out shelves give you easy access to parts stored on rear of shelf. 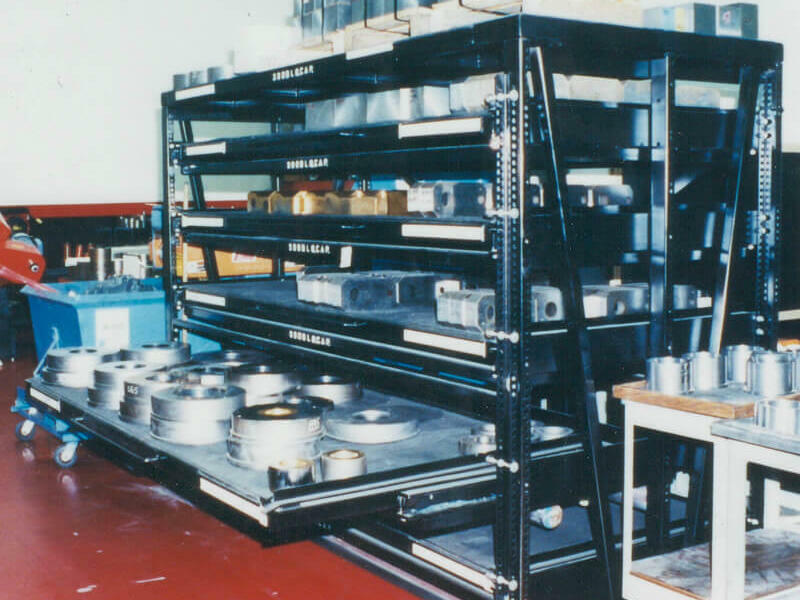 Shelves have safety interlock, that only allows a single shelf to extend at one time.